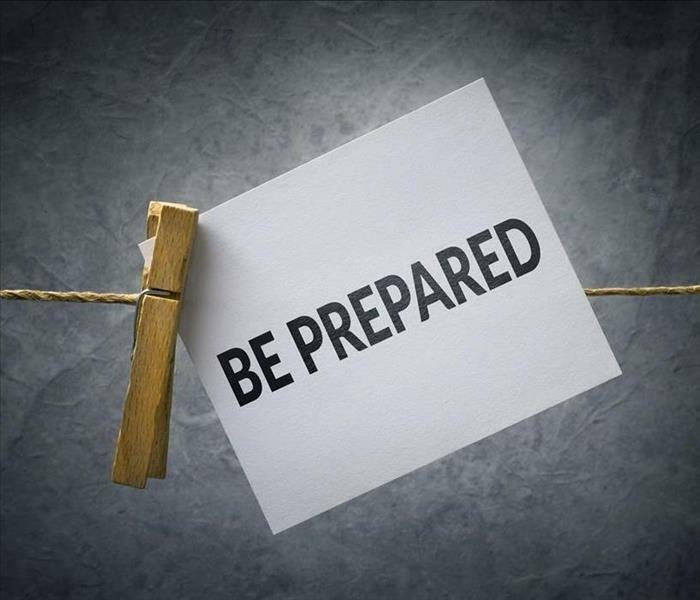 Prepare your staff and property with our SERVPRO Emergency Ready Plan app! Like many other entrepreneurs in Port Orange, your business depends on residents and guests seeking entertainment, nourishment, or hospitality. Being open and available for your target audience is vital for your company's success. If you knew that consulting with an experienced disaster remediation firm ahead of a crisis could reduce the risk of even temporary closure, would you make that call for an evaluation? Fire damage to your Port Orange hotel and restaurant could be the end of your business. Statistics bear out that nearly 50 percent of enterprises that decide to close even briefly to manage a fire or other catastrophic event risk never opening their doors again. We take on the negativity of that statistic with the positive, proactive approach of our Emergency Ready Plan and Profile (ERP). 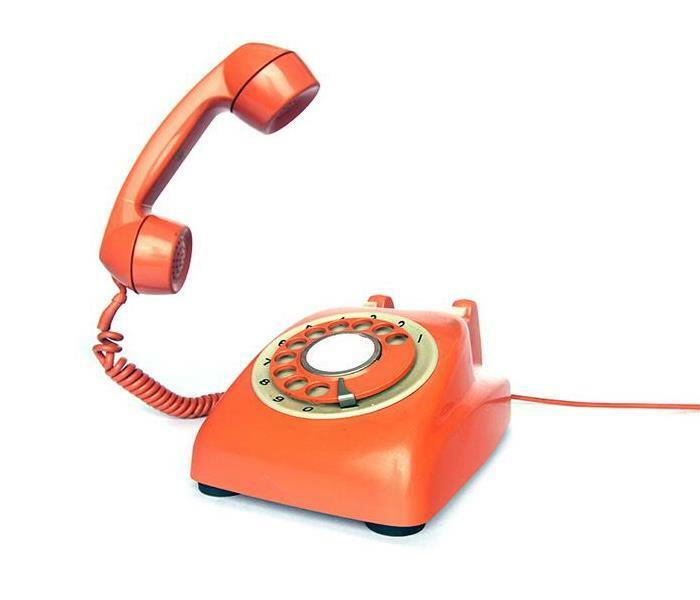 Before any problems present, get in touch with SERVPRO. We send an experienced project manager to your site for a no-obligation assessment of your emergency readiness. Our manager walks through all areas of your business -- the hotel, restaurant, gift shop, pool, spa, business center, laundry room, and more. We develop a digital layout of your property and discuss your operations with you or one of your trusted employees. Expect us to reveal your vulnerabilities and encourage your strengths to prevent disaster and to help us be ready if a fire or other loss does occur. Take our recommendations to be better positioned to manage a fire disaster seriously, and also use our mobile app to complete your own walkthrough. Identify the locations of utility shutoffs, and list vendors and contractors that provided and installed your equipment and systems so we can contact them for assistance to get your business back online. Declare SERVPRO to be your preferred remediation partner, and designate employees, family, or friends to act instead if you are unavailable during the fire emergency. SERVPRO and you both hope never to need the ERP, but if a fire breaks out, our familiarity with your physical plant and operations helps us respond more efficiently. The Plan and Profile create a digital database our crews use for reference to speed resolution of your fire damage. SERVPRO of South Daytona Beach / Port Orange is ready to plan for potential emergencies and to implement that design with all due speed. Call us at (386) 788-0358 to take steps to protect your business. For more on Daytona Beach, click here. With the likelihood of severe weather system rolling in from the Atlantic Ocean, Port Orange property owners have a persistent threat of storm damage and subsequent flooding that comes with it. Preventing this situation can be impossible in some cases but having a professional team of certified professionals working to mitigate loss and save both your time and money can be a wise decision. With a 24/7 response to storm damage situations, our professionals can arrive fast with the equipment and expertise to lessen the impact on your apartment. 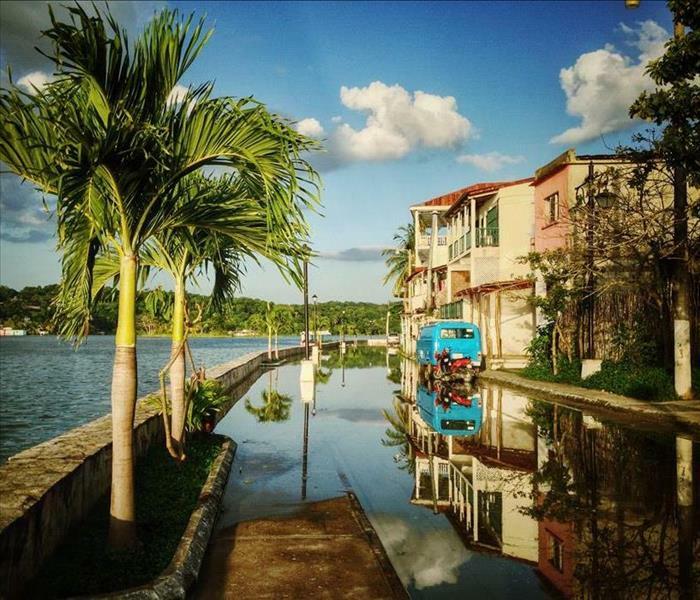 With your Port Orange apartment, flood damage can happen without direct structural damage to your specific unit. With adjoined ceilings, flooring, and even shared walls, water damage can penetrate multiple units quickly, which requires effective mitigation to reduce the devastating effects on the contents of your apartment and its structural integrity. Our SERVPRO professionals have a 24-hour emergency response to storm damages and flooding and can work with your insurance provider to get started on the restoration your property needs quickly. With our mitigation tactics, we can work to reduce the damage that saturation and standing water can cause to your apartment. We have high-powered extraction equipment that can remove excess water fast, such as our extractor trucks, trash pumps, and other mobile pumps ideal for portable extraction solutions. With the standing water removed from your apartment, our professionals can work on the drying efforts to protect exposed structural elements and reduce the possibility of mold growth and other hazardous effects. Our mitigation does not just encompass removing the pressing effects throughout your property, but also involve removing at-risk contents of your unit for focused cleaning and drying efforts at our facility. Our Contents Department can work efficiently to restore damaged items and prepare them for their return to your clean and dry apartment in the immediate future. Flooding that affects apartment complexes can affect multiple units simultaneously. Let our SERVPRO of South Daytona Beach / Port Orange rapid response team help to make these flood effects “Like it never even happened.” Give us a call today at (386) 788-0358. Welcome to our city website, click here. Call SERVPRO as soon as the fire is out to minimize the loss and damage to your home and personal belongings. Your home can be quite a mess after the fire goes out. If the flames did not get to it, smoke, soot, and ash residues quickly make work of many materials found in your home. We understand how devastating these experiences can be and use several years of experience to return your Daytona home to normal. If you are currently experiencing fire damage in your Daytona area property, contact us as soon as possible for emergency services with consistently fast, efficient, quality standards that help you make the best choices during difficult situations. Our goal is to get you back up and running as quickly as possible, avoiding any hazards or secondary damages that may develop. In the event of a fire loss, many of your personal belongings receive slight damage that makes it necessary to relocate damaged items to a clean, safe facility. SERVPRO calls these move or pack-out services, where we take salvageable items to a secure location to ensure a more effective, efficient restoration. We use an advanced inventory system to keep track of your belongings and treat each with specific methods designed to receive higher quality results. Moving your belongings also makes it easier for SERVPRO technicians to perform structure cleaning in your home. Even with the fire out, damage continues, causing further harm to your furniture, flooring, carpeting, and other surfaces. After only a few days, severe chemical reactions cause items to go from restorable, to unsalvageable. Our technicians use a variety of cleaning and deodorization methods to remove soot from at-risk items effectively, helping you avoid additional expenses. The faster you act, the more likely you are to receive the results you desire. Our IICRC-certified technicians understand how to restore brass, aluminum, chrome, marble, tile, porcelain, as well as many upholstery items found in the home. Our wide range of deodorization equipment such as air scrubbers and thermal foggers give us the ability to remove a broad variety of odors. We can also help you handle the paperwork for your insurance claim. However, most importantly, we take the time to explain our services in their entirety, helping you regain control, giving you the peace of mind knowing that professionals are on your side. For more information about Daytona Beach, click here. Mold growth can spread quickly when the right conditions exist. If you see or smell mold, contact SERVPRO for remediation services. Depending on the kind of material mold takes hold of, various types exist. 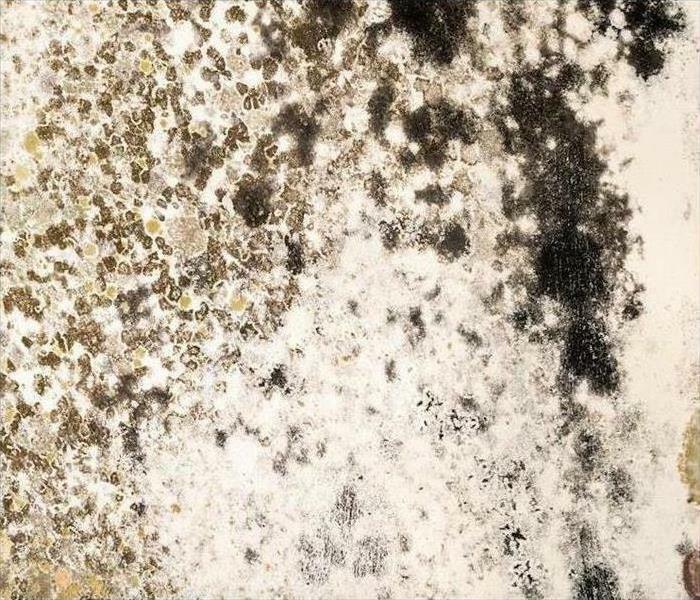 In other words, the mold that develops on the concrete or masonry surfaces on your Daytona Beach property is an entirely different species than the mold that forms on your walls, plastic, or metallic surfaces. However, regardless of the amount or type that creates mold damage in your Daytona Beach area home, treatment remains the same. A qualified mold remediation specialist never looks at the species of mold in your home. They should instead, be looking for ways to make your home safe for you to live in again. Mold only needs three factors present to grow, water, food, and air. When even one is missing, mold can sit dormant for weeks, waiting for the right conditions exist. With that said, a qualified mold remediation company, like SERVPRO, is likely to look for the source of water intrusion causing the problem, before attempting to mitigate any damage that might exist. After locating the source causing the problem, SERVPRO technicians perform any necessary repairs and then move on to contain the spread. We use plastic sheeting to contain the infected area and position negative airflow machines to help capture airborne spores. Any saturated materials removed during your remediation process are placed in sealed bags while transporting and disposing of these materials is based on local, state, and federal guidelines. SERVPRO technicians clean and disinfect the entire area before installing new, making sure to maintain a clean, safe environment for anyone entering or exiting the area. We use personal protective equipment such as masks, gloves, boots, and full-body suits if necessary. It depends on the amount of exposure present and how large the affected area is. As we move into the final stages of your remediation, everything is cleaned and sanitized again to ensure cleanliness before finishing touches are made to return your home to normal. We check the air for spores several times throughout the process and even give you various tips on how to prevent future problems. Give our crew a call 24/7 at (386) 788-0358. Many storm damages can compromise your Daytona Beach property and allow dire circumstances like water damage and flooding to take place. As traumatic as this situation might be, you have to react quickly to this structural weakness and reach out to trained professionals like ours. Our trained technicians have effective mitigation strategies to preserve many of the exposed structural elements throughout your home and to provide temporary and permanent repairs to damaged exterior components of your house. With many of the high-powered storms that can come in from the Atlantic, many homes in Daytona Beach share a persistent risk of flood damage under the appropriate conditions. With excessive storms that can tear off structural defenses of a home, water can find its way into the property through runoff of the stormwater to direct heavy rainfall. Our SERVPRO professionals can respond quickly to this emergency with the equipment and expertise to make a difference with our effective mitigation tactics. With compromised areas like your roof, siding, or missing windows, you need a team of professionals experienced in controlled demolition and the reconstruction efforts that your property requires. Our licensed contractors can help with everything from general residential construction to replacement of damaged electrical wiring and components, replacement and servicing of plumbing, and even tree removal to get reconstruction started. For the flood damage that has occurred, extraction and drying are critical elements to returning your home to its original condition. With our portable sump pumps and extraction wands, our SERVPRO team can remove the standing water quickly from the affected areas. We can then set up our powerful drying tools like our air movers and dehumidifiers to begin getting moisture content throughout this damaged area under control. As problematic as severe weather can be to the structural strength of your home, our SERVPRO of South Daytona Beach / Port Orange team can work quickly to protect the property from unnecessary tear out and reconstruction. Give our crew a call 24/7 at (386) 788-0358. Click here for more about Daytona Beach. Call our team when you experience water damage. 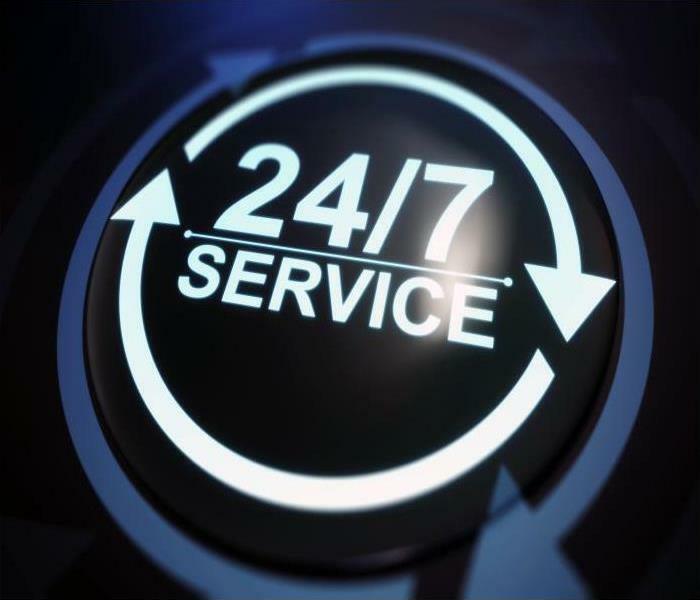 We have the experience, equipment and we are available 24/7 so you can count on us anytime. The kitchen inside your Port Orange house is a common place for moisture-related issues to occur. Wherever there are several waterpipes running into a room, it is likely that a disaster occurs that causes you to have to conduct water removal. Plumbing failures are the most common type of problem, but appliance malfunctions can also create issues. For instance, if your dishwasher breaks or garbage disposal fails, building materials can get damaged. If something in your kitchen leaks, and contents or building materials near the room get wet, then it is wise to call in a professional water removal company such as SERVPRO. Even the most minor problem such as your sink clogging can cause your kitchen extensive damage. If your sink ever backs up and overflows, you could be forced to call in professional water removal technicians in Port Orange such as SERVPRO. As soon as your sink overflows, moisture can quickly start soaking into your kitchen's building materials. Everything below the kitchen including the cabinets, trim and flooring can suffer from damage when your kitchen sink backs up. If the moisture is excessive, then your building materials can get saturated and ruined. If water ever comes out of your sink, you could have contamination problems. Any water coming from a source other than clean, fresh outlets must be dealt with differently. When a sink or drain running from it leaks, it is considered a category two water damage situation and the source is considered grey water. Category two scenarios mean that there is a chance that the moisture soaking into your kitchen's building materials is hazardous. When dealing with grey water, any porous materials have to be removed due to possible contamination. If non-porous materials such as tiles get wet, we mop up the contaminated water and then clean and sanitize the affected areas with antibacterial chemicals. Once all of the liquid H2O gets removed from your kitchen, we set up drying equipment and dry out your structural components. If you ever notice your sink overflowing, call SERVPRO of South Daytona Beach / Port Orange at (386) 788-0358 24/7. Parks and recreation online registration is now open click here for more information. Leaving food unattended while cooking can cause fires. 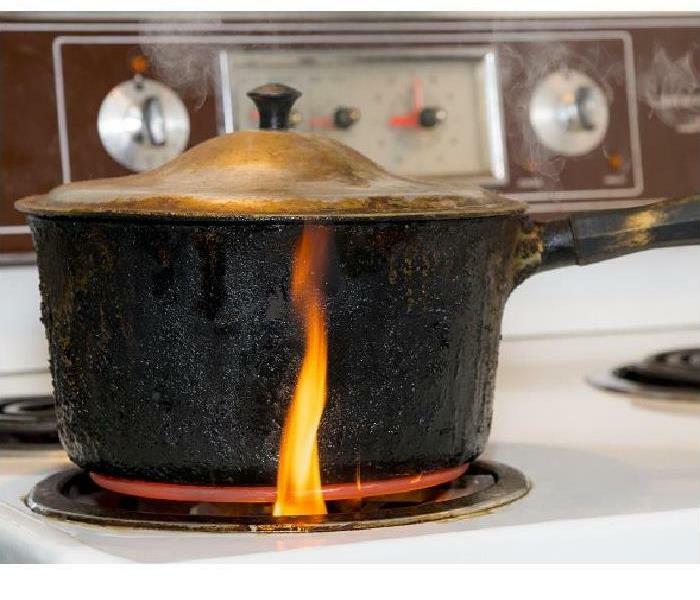 Some recipes require that the food cook for an extended length of time; however, leaving your stove unattended could lead to fire damage happening inside of your kitchen. You should never leave your home, work in the yard, or occupy another floor of your home while something is cooking inside of your kitchen. While leaving food for a few minutes most likely won't lead to any problems, leaving it alone for hours leaves entirely too much space for an accident to happen while you are not around to address it. 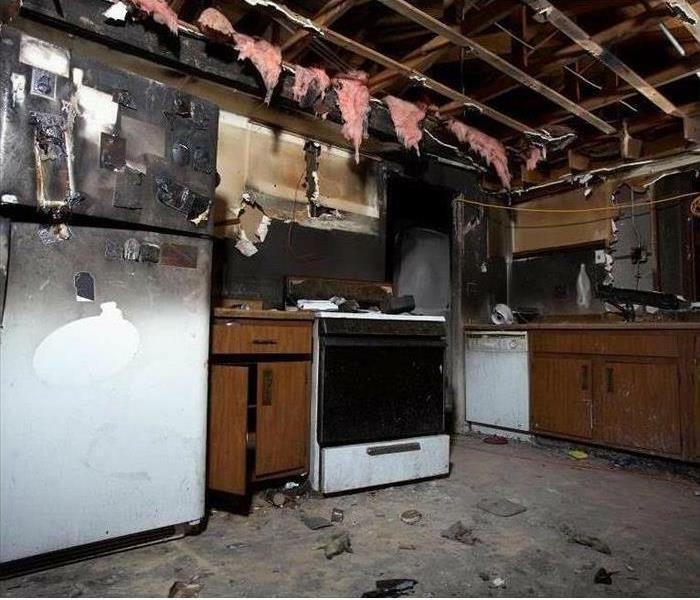 While it is always best to try and prevent accidents from happening, they can occur despite your best efforts, such as the fire damage inside of your Daytona Beach kitchen. It is essential to call for help as soon as possible after extinguishing the kitchen fire. Getting professionals inside of your home can ensure remediation of the damage left behind. The longer that you wait to address fire damage, the more difficult it becomes to remediate it smoothly. When you get in touch with SERVPRO, our technicians can rush to your home within hours of your initial call. The fire broke out from your stovetop and foodstuffs has been burned onto the surface of your countertops and the stove itself. While the fire in your kitchen was not significant, and you managed to put it out swiftly, it still left behind a foul smell and stains on your countertops. However, SERVPRO has the necessary tools to address these problems. Our technicians can use a chemical cleaning solution to break up the grime and soot that attached itself to your stove and your countertops. Sometimes, abrasive scrubbing methods must be used to remove soot left behind by a fire, but SERVPRO always tries the gentlest method first. When it comes to the foul odor in the air, SERVPRO can set up a couple of different devices in your home, depending on the severity of the fire and if your family relocated to a temporary location. Because the fire in your home was small, as most are, our techs can use a thermal fogger or an air scrubber to remove the malodor from the air. When a fire occurs inside of your home, always get help as soon as possible. Get in contact with SERVPRO of South Daytona Beach / Port Orange by calling (386) 788-0358. Day or night, we're open to helping you. Read about Daytona Beach here. If a fire causes damage to your business, call (386) 788-0358 to schedule a visit and get started on cleanup and restoration immediately. For many tourists, Daytona Beach is Florida. There’s no place they would rather go, and the opportunities for small businesses are extensive. Depending on the time of year, almost everything operates on a 24-hour schedule, so even a small incident like a limited kitchen fire can result in a large loss of receipts. After a diner in Daytona Beach suffers fire damage, commercial cleanup needs to happen quickly and correctly. SERVPRO restoration teams train to all industry standards when it comes to cleaning appliances, furniture, and the structure itself. Thanks to required fire suppression systems, most fires are extinguished quickly. Physical damage is limited, so initial efforts involve cleaning grills and other kitchen equipment to prevent secondary damage from water or chemicals used to stop the fire. Our technicians use dry sponges to wipe down all surfaces to remove them, so they are safe to use again. If there are smoke residues present, SERVPRO technicians use sponges and mild cleaning agents to break them up and restore cooking and food preparation stations to a clean, functional condition. These same residues are also present on ceilings and floors. Since these are not surfaces where food is prepared, team members use stronger cleaners to remove residues. If it is a drop ceiling overhead, it may be cheaper for them to remove and replace ceiling tiles, rather than expend the labor hours and cleaning agents to restore them. For tiled or concrete floors, personnel uses the strongest cleaner available, often a chlorine agent, to ensure they remove every trace of the fire so that they meet health standards. Then, they dry the floor completely to ensure there is no moisture pooled under a refrigeration unit or prep table where inert mold spores might expand and grow into another problem. At SERVPRO of South Daytona Beach / Port Orange, our goal is to help reopen every business to customers and meet the local and state requirements for their health and safety. If a fire causes damage to your business, call (386) 788-0358 to schedule a visit and get started on cleanup and restoration immediately. Click here for more about the great city of Daytona Beach. While the washing machine serves an important role within your house, it can also prove to be the source of considerable water damage. 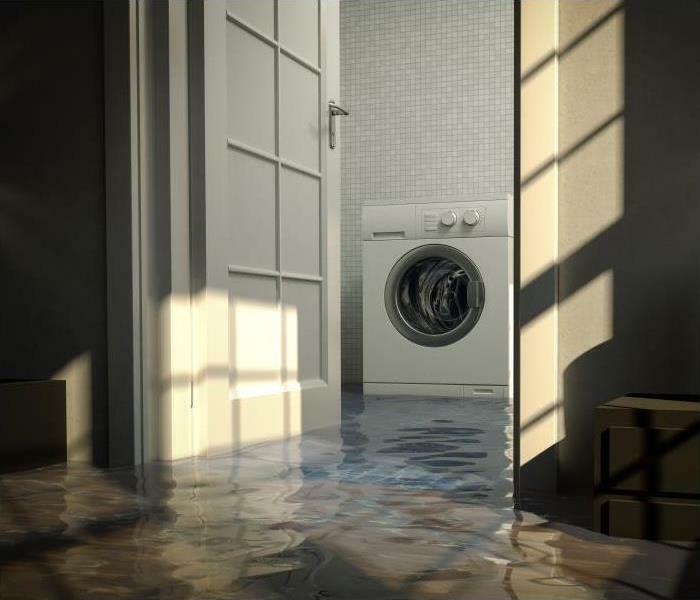 As helpful as washing machines have become for Daytona Beach homeowners, these like all water-fed appliances, have the potential to cause significant damages to a house without the proper upkeep and use. A common potential problem for washing machines is its installation on uneven or slick surfaces. With unbalanced loads, washing machines can rock, sometimes violently, pulling at the hose connections against the wall. If the hose pulls free from the fixture, or from the machine itself, there is no check valve in place to stop the unabated flow of water onto the laundry room floor before you manually turn it off on your own. With the disconnection of a supply line to the washing machine, water can flow and pool quickly, causing an immediate need for professional water removal services in your Daytona Beach home. Our SERVPRO professionals can understand the severity of a situation like this, as water damage can spread quickly from the initial point of exposure throughout a home, so we can respond quickly to the emergency with the equipment to help. Extraction is a key component to restoring a damaged home in these conditions, and our rapid response team arrives with several machines and tools designed to remove excess water quickly from this exposed area. We have portable sump pumps, gas-powered pumps, extraction wands, and weighted extractors to remove as much of the water from the laundry area and adjacent affected rooms quickly. Drying is vital to follow the extraction as exposed materials like linoleum tiles could get preserved with the right response to the emergency. Our objective is to protect exposed materials when possible and reduce the need for tear out and reconstruction. Air movers, dehumidifiers, drying mats, and our injectidry system can all play vital roles in eliminating moisture pockets in flooring and wall cavities. While the washing machine serves an important role within your house, it can also prove to be the source of considerable water damage without careful upkeep and monitoring. 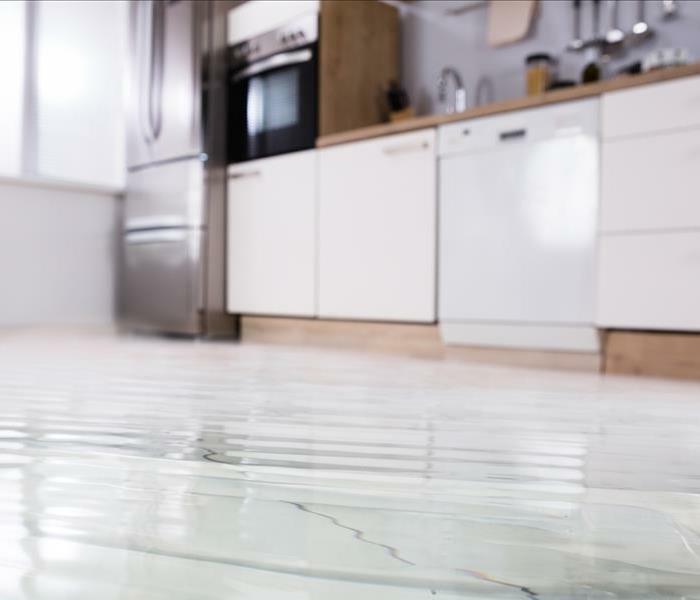 If you get faced with a water loss incident, give our SERVPRO of South Daytona Beach / Port Orange rapid response team a call at (386) 788-0358. As soon as you smell or see mold in your home call SERVPRO to get rid of it before it spreads. 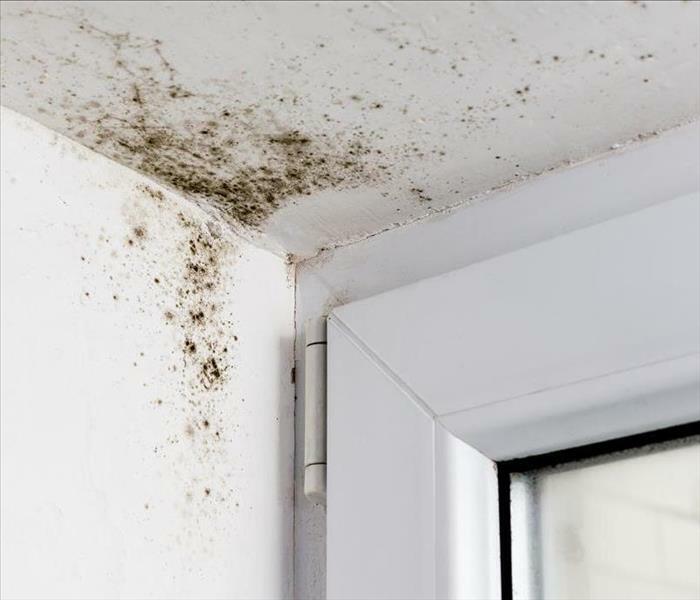 If you walk into your bathroom in your Port Orange home one day to see that unmistakable patches of black mold have begun to grow in a damp corner, your first reaction might be to panic. After all, mold can create health effects. However, the mold can be cleaned up if you reach out to a professional remediation company. Once you find mold damage in your Port Orange home, you shouldn’t hesitate to reach out to our experts at SERVPRO, since the mold continues to grow and spread until it is cleaned. We have the training and tools get the situation under control in no time, making your home safe once again. Our first step once we arrive at your home is to find the source of the moisture which is causing the mold and deal with it right away. After this, SERVPRO techs visually assess the extent of the damage. We take detailed measurements of the affected area and take humidity and moisture readings to help us determine the best course of action. We then carefully contain the area with a secure, thick plastic barrier which helps to prevent the mold damage from contaminating other areas of your home which are clean. Vents and air ducts are also sealed off so the mold cannot enter and spread throughout your home. Before we do any structural cleaning, we use special air scrubbers that have HEPA filters to create negative air pressure in the room. We do this to filter the air of the mold spores. If there are any building materials that cannot be salvaged, like baseboard, drywall, tack strips, or ceiling tiles, we double-bag them and discard them safely according to federal and local regulations. Any surfaces that remain like glass tile, ceramic or wood are treated with an anti-microbial germicide. All surfaces, including walls, floors, and the ceiling are HEPA-vacuumed, which is a very effective way of removing tiny particles, such as the mold spores. In this way, we ensure that we can get the area thoroughly cleaned and safe again. SERVPRO of South Daytona Beach/Port Orange are the ones to call when you find mold in your home in Ponce Inlet, Allandale, or Harbor Oaks. We can safely clean the affected area for you before it spreads too quickly when you call us at (386) 788-0358. Come play a round of golf at Cypress Head Golf Club click here for more information.